Nicki is one of the most hard-working artists who believe in the concept of never giving up! Her resilience, the way she continues to get up after every challenge, teaches us that there is a warrior in each and everyone of use. 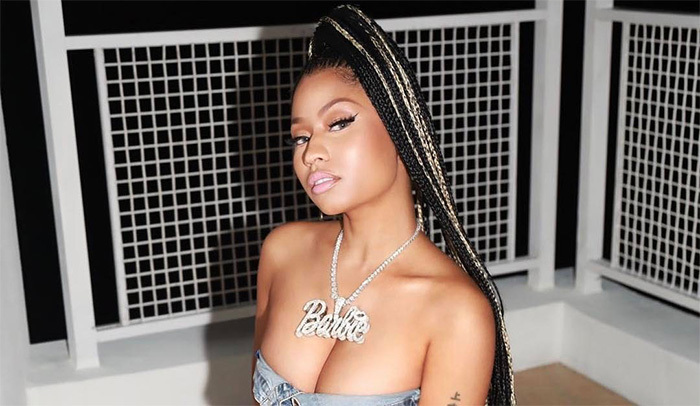 From her childhood problems and her constant energy to break into the industry and showing Lil Wayne that she has what it takes to be dope, to how she was attacked for being different and all the things people had so much to say about her body, Nicki looked beyond that and continued to fly in the industry. Her lyrics are heartfelt and how she shares her personal experiences is refreshing. She is not afraid of being hard and soft on her music and she is able to adapt. She has truly evolved and she keeps raising the bar! She does whatever she wants with the ‘I am here to stay!’ attitude and I guess that’s what being an artist is about, it’s about looking beyond the negative comments and continuing to push. To me she represents a woman who says, yes you can rap, yes you can wear this and that, yes you can slay and no-one has the right to define you!